Now thru Monday,May 1st, Save 10% on Everything! 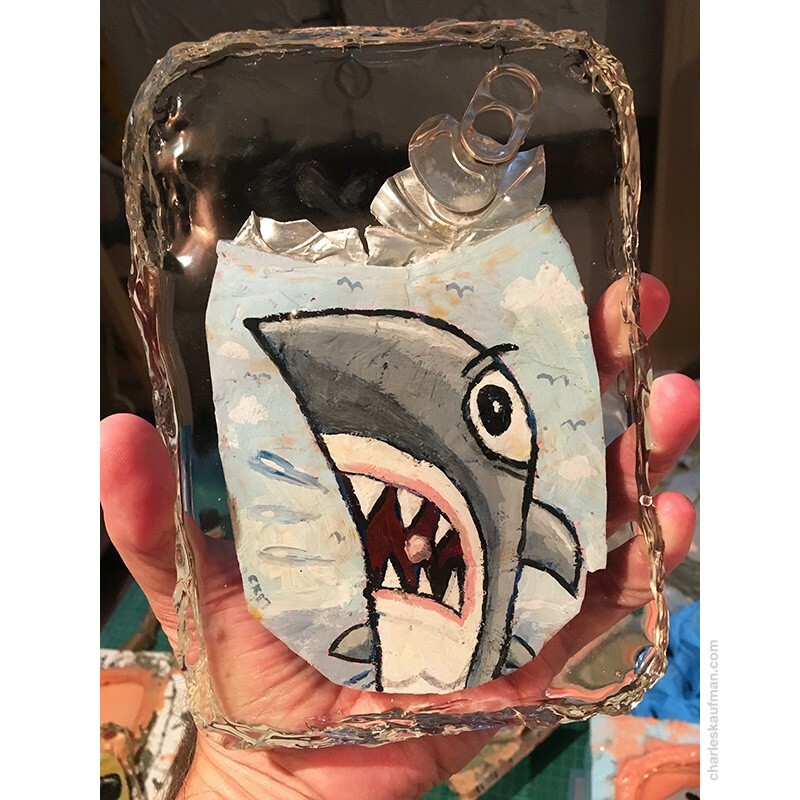 > Crushed Can Art: "Shark!" New! Crushed Can Art in resin. Each is a one-of-a-kind, unique art object. Only 1 available. 12 x 18 cm / 4.7 x 7 in. 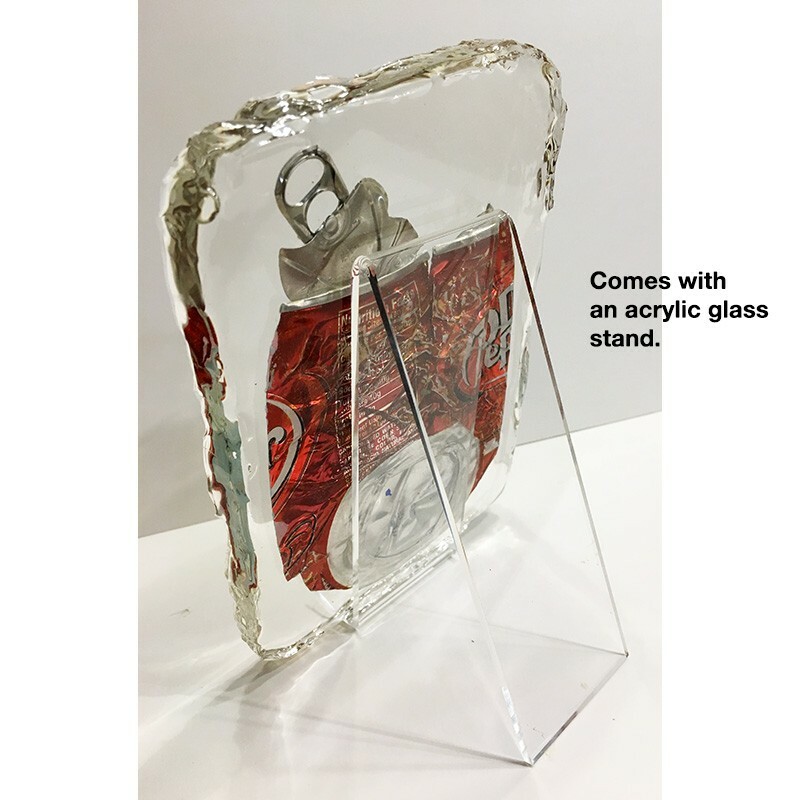 Each Crushed Can Art object is made from a recycled, beverage can. 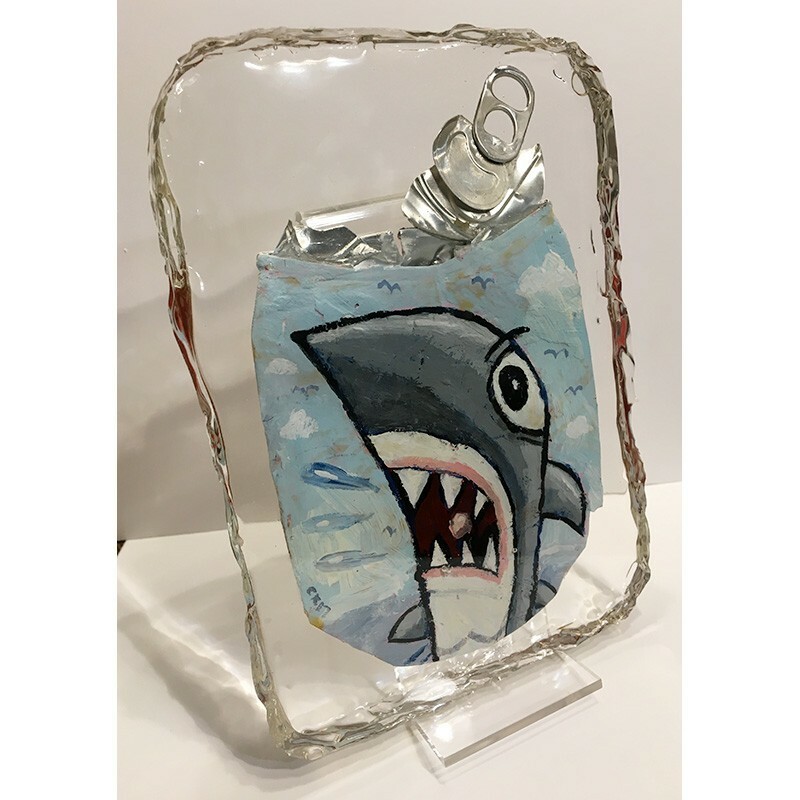 The can is crushed flat, an original painting created on one side of the can and then embedded in a custom sculpted clear resin frame. Sold out. No longer available. Thank you for your interest in my art! Charles Kaufman's Crushed Can Art objects are made from a recycled, flattened soda or beer can. The can is crushed flat, an original painting created on one side of the can and then the can is embedded in a custom sculpted clear resin frame. See through on both sides of the art object. Includes an acrylic stand. A real attention getter and conversation starter. Each one is a one-of-a-kind, unique art object. Includes an acrylic stand. To see more about Crushed Can Art by Charles Kaufman please visit the Crushed Can Art website. Sign Up Art & Sale News!